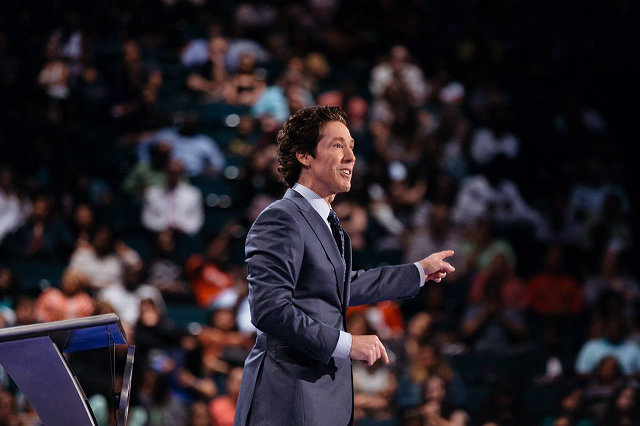 For 17 years, pastor Joel Osteen was happy to work behind the scenes, running TV production for his dad’s ministry in Houston. Osteen’s dad encouraged him to preach, but Osteen’s head was not in it. He did not see himself on stage and his nerves did not help. I caught up with Osteen, the senior pastor of America’s largest church, to talk about his new book, The Power of I AM. The book’s principle is simple and profound: Whatever follows the words “I am” will find you. Speak words of victory, successes will find you. Speak words of defeat, and failures will find you. Some people might dismiss this advice as “affirmations” that do not work. I could not disagree more. I have studied communication for 25 years and I can confidently say that, when it comes to excellence in almost any field—especially communication and public speaking—how you think is everything. The day you change the way you see yourself as a speaker, the speaker your audience sees will change. Osteen is one of the best examples of the principle at work. Sixteen years ago, he could not give the church announcements without shaking as he approached the lectern. Today he sells out stadiums around the world and speaks to 50,000 people every weekend at Houston’s Lakewood Church. His TV program is seen by millions of viewers in more than 100 countries. If words have creative power, how many of us are being held back from starting a business, advancing in our careers or living our best lives because the words we tell ourselves sap our energy? Worse yet, many people allow the negative words of others to hold them back—negative comments from a coach, teacher, parent, boss or colleague will often stop people in their tracks. Be careful who you allow in your inner circle, Osteen said, because sometimes the ones who discourage you the most are the ones closest to you. “Make sure the two or three you choose to be close to you are 100% for you,” Osteen writes. Are negative thoughts keeping you from achieving everything you were destined to accomplish? Here’s the good news: You are free to choose the words that follow “I am.” According to Osteen, you have got to get good at changing channels.